The Conference is committed to providing a venue that stimulates thinking, generates new ideas, offers timely and relevant information and opportunities for networking to enhance the professional development of HR professionals and their colleagues. The conference provides input into professional standards, best practices, and resource development, participates in local, provincial, national, and international projects and initiatives and many more. Work smarter, not harder - now is the time to discover how you can best benefit from new technologies, high-impact HR strategies and new ways of working to create an agile, digital organisation, that will withstand the test of time and retain a competitive advantage. Open to both members and nonmembers, our TAC summit brings together recruiters, talent acquisition managers, compliance practitioners, and in-house employment counsel to discuss practical strategies for managing talent acquisition compliance requirements and risks. The 2019 Ohio SHRM State Council’s annual Employment Law + Legislative Conference is rapidly approaching. Register today to reserve your spot to get up-to-the-minute intelligence and meet with key policy-makers. The training and development summit is specifically organised for senior professionals who are directly responsible for the training of staff, and those who provide the latest and greatest products and services within the sector. The Vancouver CHRO Leadership Summit will be gathering provides valuable networking, private and candid conversations, and an unmatched and crucial the day of insights for Western Canada’s HR executives. Minneapolis CHRO Leadership Summit enables to take advantage of the power of exponential thought. At this meeting, It share best practices and develop leadership skills that enhance our organizations' ability to impact the local and global business climate. California Recruiting and Staffing Association Conference is a platform for discovery, learning, and peer networking designed to help both small and large recruitment and staffing businesses thrive and grow. There is no better place for HR professional development than SHRM’s Annual Conference & Exposition. By attending, you’ll gain the tools and resources you need to implement successful HR practices which help your company succeed. The conference will cover areas like industry level good practices session on HR challenges and strategies at play, the topics cover around employee engagement, retention, security and managing new generation. HR Tech Conference & Awards focus on transform employee management, improving HR service through technology, the technology partnership that drove recruiting success, social recruiting strategy to source and hire top talent, and much more. One day of ‘speed dating for business’, matching senior HR professionals with relevant suppliers for a series of pre-arranged, face-to-face meetings. It is free for HR professionals to attend and includes complimentary seminar sessions, lunch and all refreshments. The Construction HR & Training Professionals Conference will focus on attracting, educating and training the current and future construction workforce. It serves as a comprehensive archive of past and presents AGC related documentation. Remarkable content from 60+ concurrent sessions led by higher ed peers and subject-matter experts. Leave energized with practical takeaways and inspiration. Connect with hundreds of higher ed HR professionals who are celebrating and wrestling with many of the same campus ups and downs you do. The Human Resources Forum, organized by the Richmond Italy Srl will take place from 21-22nd Oct 2019 at the Park Hotel ai Cappuccini in Gubbio, Italy. The conference will cover areas like a business culture in which this new reality is clearly understood and you can better express and many more. Strategic Summit HR:digital will focus on Digital Transformation, Chances and Risks, Contemporary organizational forms and management culture, Process Digitization & Automation, Workplace of the future, Work organization 4.0, Technological change and etc. The recent government shutdown shed light on a problem that’s been growing for years: employees are hurting financially. 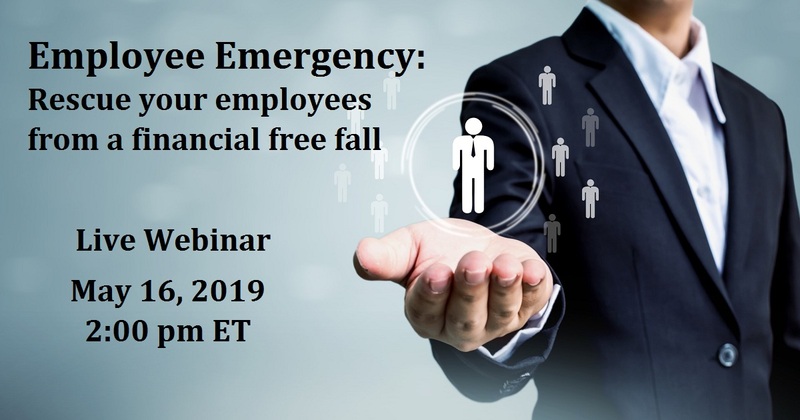 If faced with a large unexpected expense, 42% of employees said they would go into debt, dip into their retirement savings, or simply not know what to do.